On June 28, 2018, Commissioner Hester Peirce of the United States Securities and Exchange Commission posted written observations about the SEC whistleblower program. In the SEC context, the term “Commission” means the five people who were nominated by the U.S. President and approved by the U.S. Congress to run the Securities and Exchange Commission. There are two Democratic Commissioners, two Republican Commissioners, and the SEC Chair. 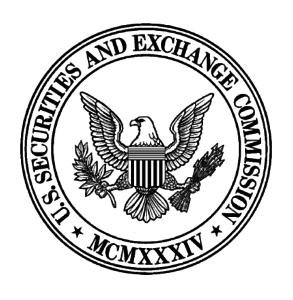 If you are interested in reading about the SEC Chair and the other two Commissioners’ independent observations regarding the SEC’s whistleblower program, click here, here, and here. The most important part of our Whistleblower Program, of course, is the whistleblowers themselves, who bring to our attention securities law violations that otherwise might not come to light for years or even forever. Original information provided by whistleblowers has led to enforcement actions in which the Commission has ordered over $1.4 billion in financial remedies, including more than $740 million in disgorgement of ill-gotten gains and interest, the majority of which has been, or is scheduled to be, returned to harmed investors. The above information is not and should not be construed as providing legal advice. It is not and should never be considered as a substitute for consulting with your own lawyer. The use of this web site or this page does not constitute or create any attorney-client, fiduciary, or confidential relationship between The Pickholz Law Offices LLC and/or the owners/operators of this web site, or anyone else. The information contained on this website is for informational purposes only. The content of this web site may not reflect current developments. Prior results do not guarantee a similar outcome. Results of prior cases or matters contained on this web site are not indicative of future results or outcomes, and should not be taken as a prediction, promise, or guarantee of any future result or outcome. No one who accesses this web site should act or refrain from acting based on anything contained on this web site. For additional terms and conditions governing the use of this web site, please click on the “disclaimer” link at the bottom of this page or click here.